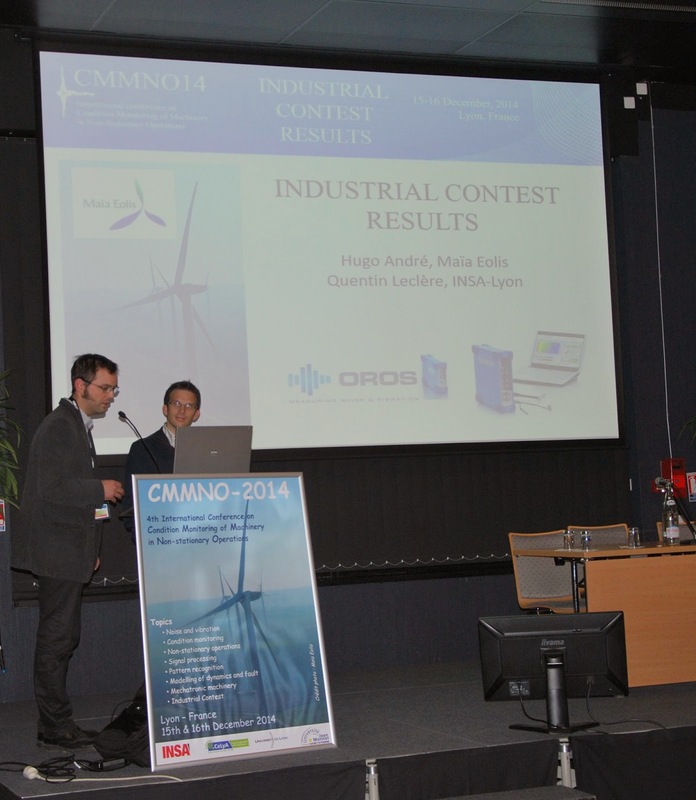 Last December, the Université of Lyon, organized the 4th International Conference on Condition Monitoring of Machinery in Non-stationary Operations (CMMNO). 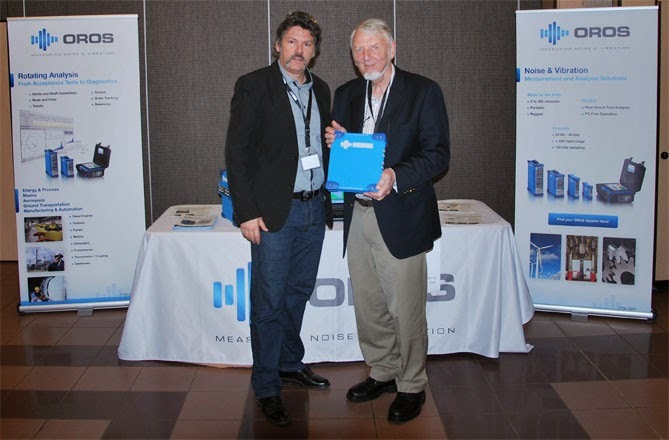 At the same time, an Industrial Contest has been organized to win an OR35 4-channels analyzer, offered by OROS. Maïa Eolis, a manufacturer of wind turbines, provided with signals from a wind turbine asking to perform order tracking without speed signal. 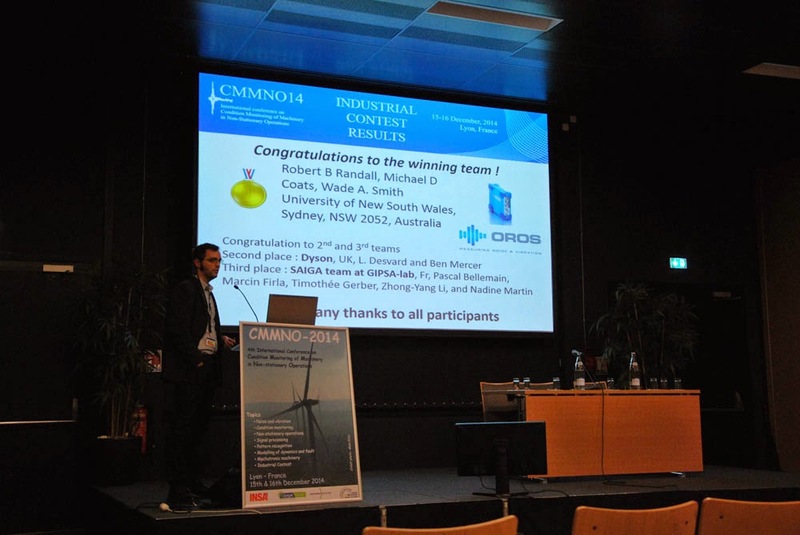 The CMMNO 2014 contest first prize has been awarded to Robert B. Randall, Michael D. Coats, Wade A. Smith from the university of New South Wales, Australia. The jury was composed by Hugo André from Maïa Eolis and Quentin Leclère from INSA. Dyson from UK, and SAIGA team at GIPSA-lab from France came respectively 2nd and 3rd. The objective of this conference was to present the latest research results devoted to extending the scale of applicability of condition monitoring to non-stationary operating conditions or non-steady environments. Topics have been widely covered: Noise and vibration; Condition monitoring; Non-stationary operations Signal processing; Pattern recognition; Modelling of dynamics and fault; Mechatronic machinery. Contributors came from 18 different countries (Algeria, Australia, Belgium, Colombia, Canada, France, Italy, Lebanon, Morocco, Poland, Russia, Saudi Arabia, Slovenia, Spain, Sweden, Tunisia, UK, USA) and from both the industry and academic institutions. Teamwork technology enhanced by NVGate V9!